Wood Lane – where did it all go wrong? 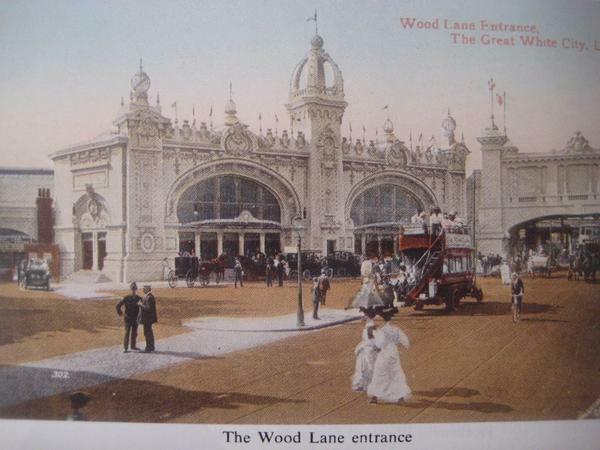 A striking contrast was offered on Twitter today from Shepherd’s Bush Calling showing Wood Lane past and present. More evidence of the filthy state the council estates have fallen into since Labour took control of our borough last year. 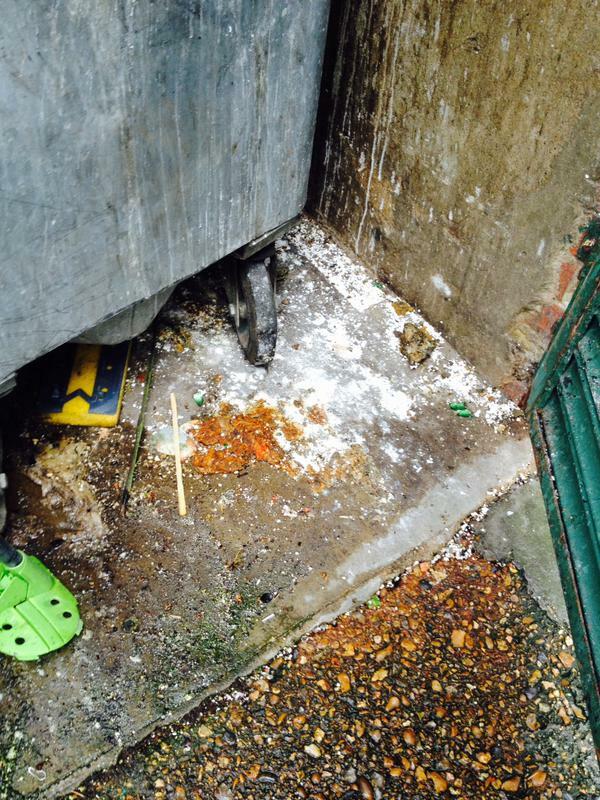 Here is a picture, taken by a resident, of the disgusting state of the bin chute in the Maystar Estate. She wrote to the Council leader Cllr Stephen Cowan about it but had no reply from him and then raised it with me. 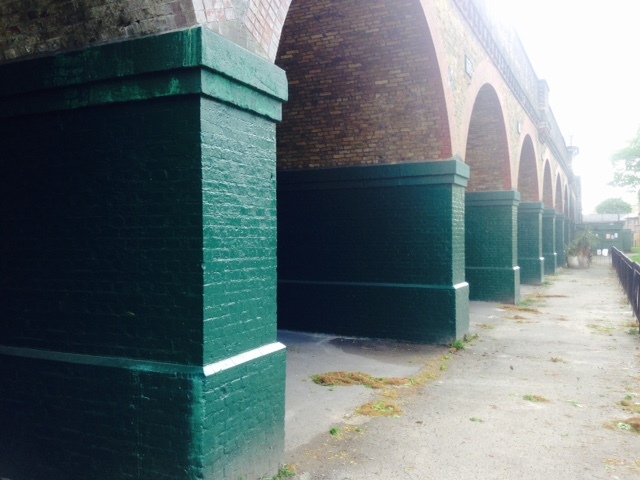 Clearing the arches in Ravenscourt Park – anyone for ping pong? It’s extraordinary how bureaucratic obstacles can make even the most simple challenges take a long time. But at last some of the arches of Ravenscourt Park have had the old junk cleared out and been opened up. “The primary aim of this project was to improve connectivity between the southern end and main body of the park and to restore the visual quality of the Victorian railway structure. The majority of work has been completed with the exception of some surfacing work under the arches and some landscaping to the south of the arches, all of which will be undertaken this coming autumn once the summer rush in the park has finished and the paddling pool has closed. There were never any specific plans for using the space, as stated earlier this was a project predominantly to deliver aesthetic improvements. I would like to see a ping pong table (or a whiff whaff table as Boris Johnson would call it) in one of the arches. They have them in Normand Park stuck to the ground. You have to bring your own ball and bats but it works rather well when it isn’t too windy. Last October I reported on the intention by the Labour council to allow the developers St James to undertake a hideous development in Wood Lane including a 28 storey tower block. 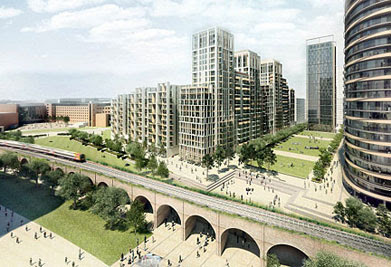 Indeed only 19 per cent of the properties on the site will be designated “affordable” housing. Under the Conservatives property developers faced tougher negotiations – and needed to provide 30 per cent or 40 per cent. 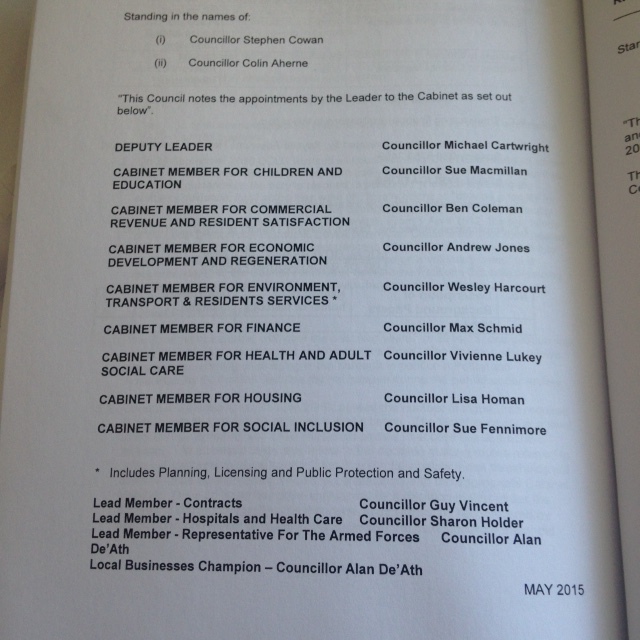 While two Conservative councillors – Lucy Ivimy and Alex Karmel – spent a hour asking challenging questions of the proposal Cllr Michael Cartwright for Labour said we “shouldn’t worry about the details” because St James are “a subsidiary of the UK’s biggest homebuilders” and that we can “trust them to get it right”. 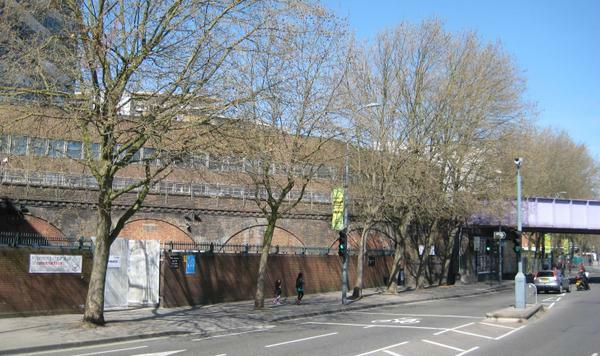 All the Labour councillors ignored Mr Slaughter’s objections and voted to inflict this eyesore scheme on the borough. Among those brushing aside his objections? 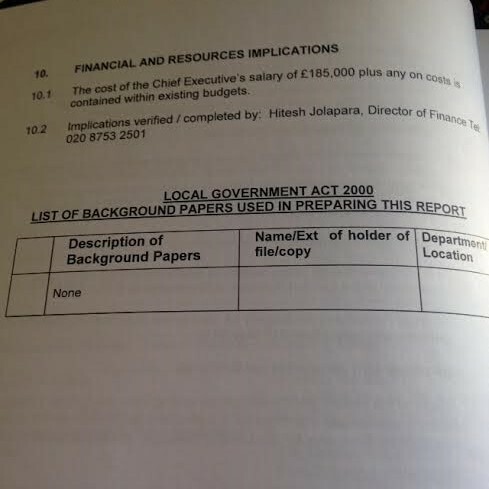 Cllr Iain Cassidy of Fulham Reach Ward – who as Mr Slaughter’s office manager was doubtless responsible for ensuring for objection was sent in. Recently I wrote about the shocking state of the Gibbs Green estate. I have raised the matter with housing officers. 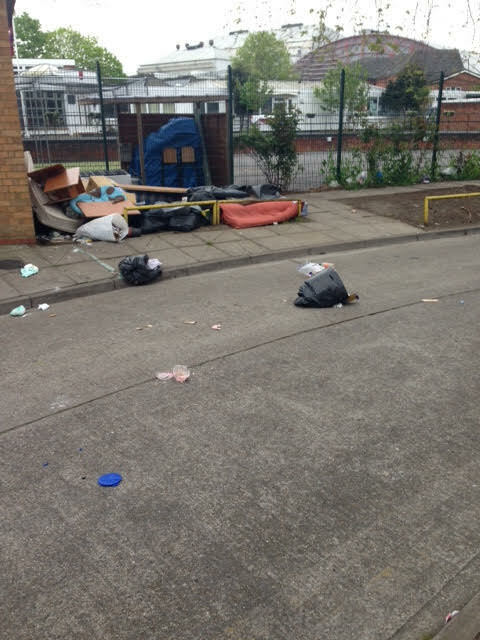 Thank you for your enquiry received on 30th April 2015 regarding fly tipping on Gibbs Green estate. On Gibbs Green there is an established free bulk drop off point for the residents of the estate, where they are encouraged to leave their items for disposal to be collected by Serco on a once weekly collection. Any items left dumped across the wider estate will also be moved to this point by the caretaking team for Serco to collect as arranged. Officers recognised that this area has become an eyesore, and working with the resident representatives have put forward an improvement funding bid for consideration by the new resident led ‘Investment Panel’ which is due to meet in June. The panel will be presented with plans for improvement to this area along with other estates’ improvement bids. We anticipate the panel will approve this bid, and that a small enclosure will be constructed there later this year to contain the items. In the interim, the caretaking team is aware of the need to keep the bulk within the area organised and tidy to improve the look of the area, and discourage flytipping. We will update the resident group on the outcome of their bid once the panel has completed the award process. We will carry out a borough wide programme of re-signing open space with legally enforceable warning signs once the way forward has been agreed on housing’s enforcement strategy which is currently under review. We hope this answers your enquiry. Should you require any further assistance, please do not hesitate to contact us. That’s all well and good. But now let’s see some action. I have been watching the various VE day celebrations around the UK with mixed emotions: pride at a hard fought victory over a great evil overlaid with the burden of sorrow, remembering all the lost lives and the sacrifices of our armed forces and civilian population. soldiers, killed in the Battle of Moscow in 1941. My father fought in the Second World War and this experience had a huge impact on him throughout his life. I am sure this is true for all those who fought for our country and for our freedom. As the war impacted my father, so it has impacted me. It has taught me the importance of the sacrifices made and the hardships endured by all peoples subjected to the horrors and oppression of the Axis powers. The cost of WW2 on ordinary people is so immense it is almost impossible to comprehend. It is thought that approximately 60 million people died in the conflict, many of them innocent civilians. That is about 3% of the world’s population in 1939. It is with regret that I note the almost total absence of any mention of the Russian people from the commemorative events held here over the last few days. They paid a huge price in helping to defeat Nazi Germany and safeguarding our freedom and liberty. It is estimated that the Russian people suffered between 23 million to 27 million military and civilian casualties. Whatever the actual number was is almost irrelevant as the vastness of the loss dwarfs any sense of real understanding. We should never forget the many hardships endured and the sacrifices made by ordinary Russian soldiers and civilians fighting the Nazi’s. It is accepted that the war would have taken an eternity to end without the efforts of the Red Army and the Russian people. Of course one should absolutely question many of the actions and motives of Stalin and the Soviet leadership and indeed the brutal way Eastern Europe was subjugated by the Soviet regime from 1945 to the fall of the Berlin Wall. However this should not colour our view of the painful losses suffered by ordinary Russians. In West London, we have a thriving Russian community consisting of many hard working men and women (very few of whom are billionaires, contrary to popular belief). I can not help wondering what they are making of this. Our differences with modern Russia may be many and substantive but we should not let these cloud our memory or distort history. 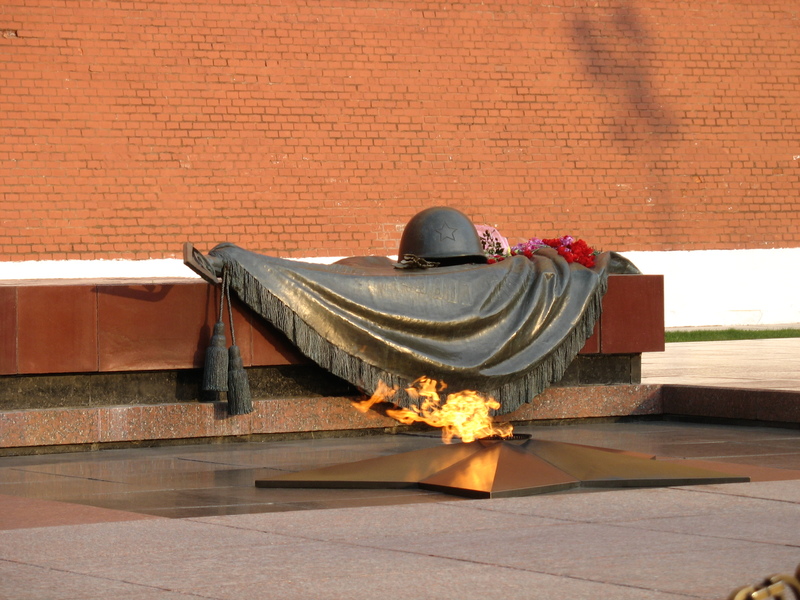 We should salute the fallen Russians of WW2, be eternally grateful for their sacrifice and always honor their memory.